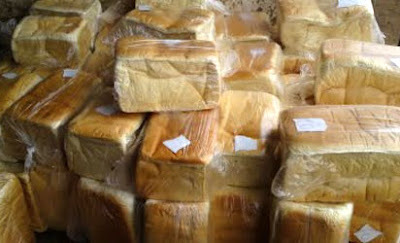 The Association of Master Bakers and Caterers of Nigeria on Thursday decried refusal of millers to reduce price of flour in spite of reduction in the price of raw materials. Prince Jacob Adejorin, the South-West Vice-Chairman of the association, spoke in an interview in Lagos. Adejorin, who is also the Chairman, Lagos State Chapter of the association, said that his members met with the flour millers severally to reduce the price, but to no avail. According to him, the appeal to the flour millers for price reduction is due to the fact that price of wheat at the international market has dropped. “Besides, naira has appreciated against the dollar and the price of diesel has fallen drastically from N250 per litre to N170 across the country. “We bakers cannot continue to buy a bag of flour at N11, 300 which was the price fixed when the naira was exchanged at N500 to a dollar. “We proposed a reduced price range of between N9, 500 and N10, 000 per bag, but the millers declined the proposal. “Out of the five flour mills in the country, only one mill accepted our plea and is selling to us at N10, 600 per bag, which is commendable. “The stance of other flour mills is that reduction in price will only happen when naira/dollar exchange rate is N300. We do not know when that will occur. “We cannot continue to bear the financial burden of high cost of production, dearth of bakeries and lack of profit as most bakers are currently living from hand to mouth,” he said. Adejorin appealed to the Federal Government to intervene in the impasse before it escalates and threatens the nation’s food industry and security. He said that members of the association across the country might down tools should the flour millers refused to change their stance. Adejorin said that millers had failed to recognise the vital role and contributions of bakers to the food industry. “The millers did not consider our call for price reduction, but rather gave flour dealers a rebate of N500 per bag. “Flour dealers cannot bake bread with the flour being produced nor give affordable bread price to the masses. “Bakers are vital stakeholders in the value chain, but they have neglected us. “When we down tools nationwide, they will understand our importance to their production and success,” he said.